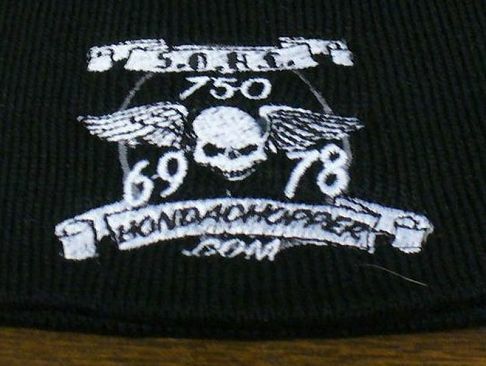 This beanie comes with the Hondachopper.com logo embroidered on the front of it. 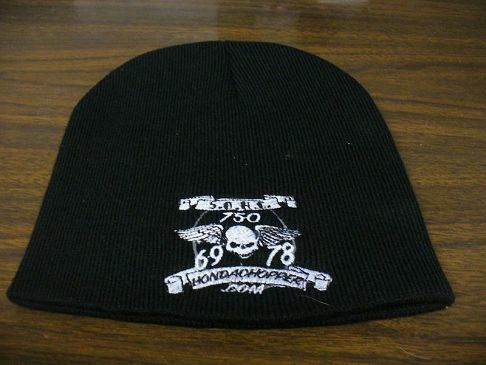 For US: add $6.00 to the cost of the cap to cover U.S. shipping and add $2.00 for each additional cap. (include in the "Payment for" field). USPS money order is also accepted.